How many of you have been through those struggles where you just couldn’t continue anymore? 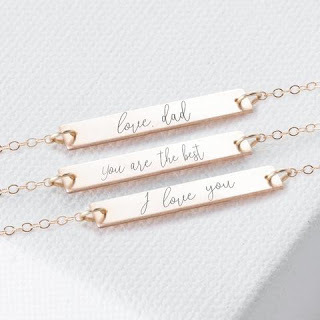 You know, those situations like your spouse left because you had been fighting for days, weeks or months on end and they didn’t want to work it out. Or you couldn’t afford your electric bill and your lights got shut off along with your heat and you feel like a failure of a parent because you can’t cook a warm meal or keep your kids warm at night when they sleep. Or your car broke down, you don’t have the money to fix it and fixing it would cost more than the car is worth, you let it go to the junk yard, and now you are without a vehicle. Or you have been late on your rent, it’s been over three months and you get an eviction notice. It seems like a long dark tunnel with no light at the end. Problems keep arising and things seem to be getting worse and not better. You have been strong for what seems like forever and you feel like you can’t be strong anymore. You’ve prayed daily asking for a miracle. You’ve prayed asking God for a break, some rest. The struggle has broken you. 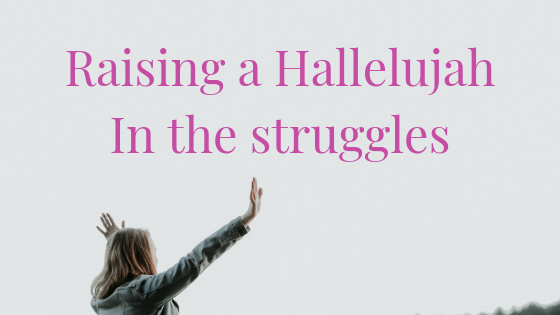 In your struggle RAISE UP A HALLELUJAH! Praise God during these struggles and you will see him move in a way you haven’t seen before. Things will work swiftly in your favor. Look up and know that this struggle is only temporary, look up and know that God is on your side! You don’t see what God is doing. 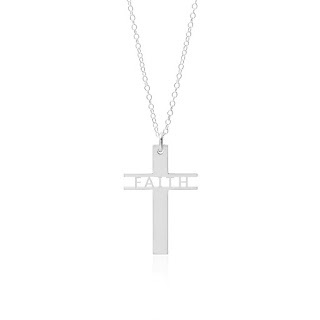 But, you should know that no matter what he is doing you need to keep the faith and know that all things work together for your good. Raising a Hallelujah is sending up praises to God. Praising God lets him know that he is welcome into your situation and welcome to take over. You are laying your struggles down at his feet and trusting him to take care of every wrong thing. Praising God makes it so that the enemy no longer has control of the situation and he must flee. We have the authority to make the enemy flee. 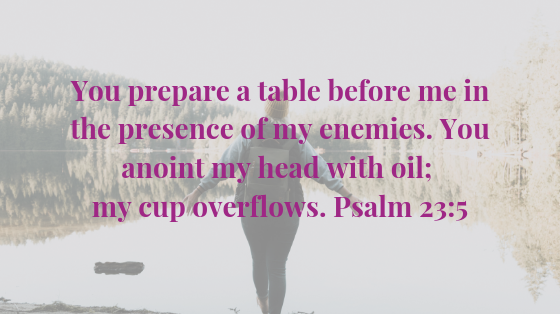 God prepares a table for us in the presence of our enemies. God shows your enemy that they aren’t in control of your situation, God is! HALLELUJAH, PRAISE GOD! Our enemies are defeated and cannot be victorious over us. 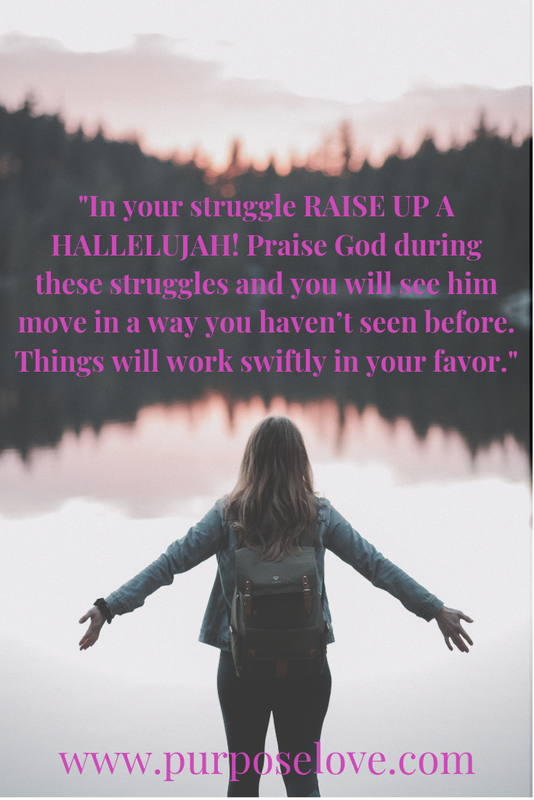 I pray that this has encouraged you and you start Raising a Hallelujah in your struggles. Start praising God and watch the enemy flee! 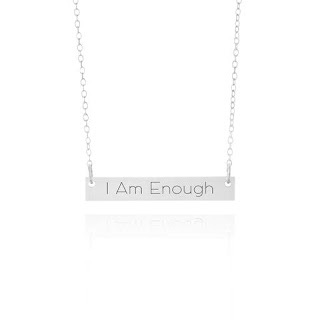 Has this encouraged you? Tell me about a time when you Raised a Hallelujah in the comments. 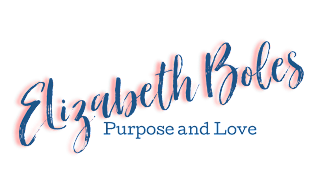 I'm Elizabeth Boles, I like to be called Liz. I am a blog writer, graphic designer, boutique owner, child of God, wife, and mother. Personally I read my Bible every day. This wasn’t always the case. I made an attempt to read my Bible every day but would fail often. I eventually felt Gods pull on me asking me to read the Bible daily. 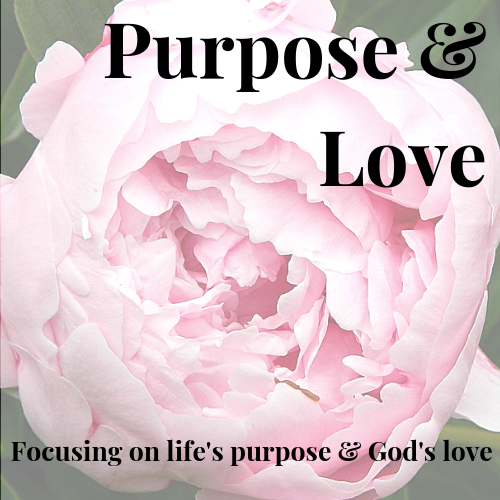 When I started writing the Purpose and Love blog I started to read the Bible multiple times a day because I would need multiple verses for reference in my posts. The Bible doesn’t tell us to read the Bible every day. Reading the Bible every day would be because of a personal conviction. We need to pay attention to personal conviction by God. When God tells us or asks us to read our Bible we should pick up our Bible and read it. The Bible is God’s way of speaking to us, and when God asks us to pick up our Bible he is wanting to talk to us. When we don’t pick up our Bible, we are telling God no and not letting God talk to us. God calls for us to read the Bible. The Bible is God’s Word. How can we come against the schemes of the devil if we don’t read our Bible? God shows us how to defeat the enemy, shows us love, forgiveness, and so many other things in his Word. If we aren’t picking up his Word how do we know what he is trying to say to us? 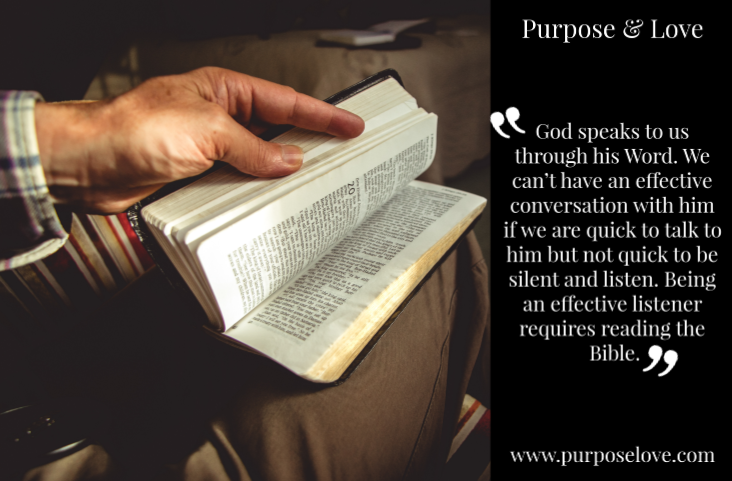 How do we know what the Lord has spoken if we don’t read the Bible? 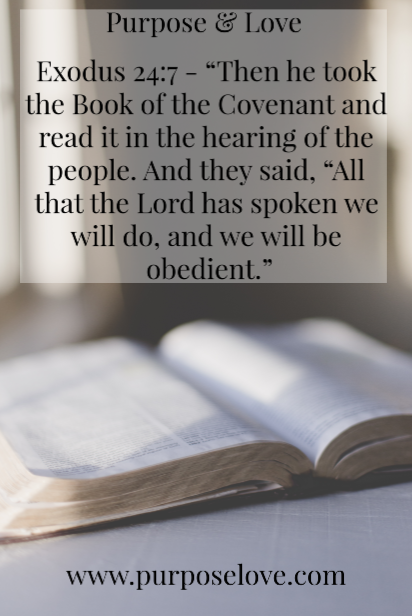 We need to read the Bible to hear what he is telling us to do so that we can be obedient to him. Reading the Bible helps us to hide God’s Word in our heart. This brings me to obedience. When we tell God no and don’t read our Bible when he asks us to, we are being disobedient. 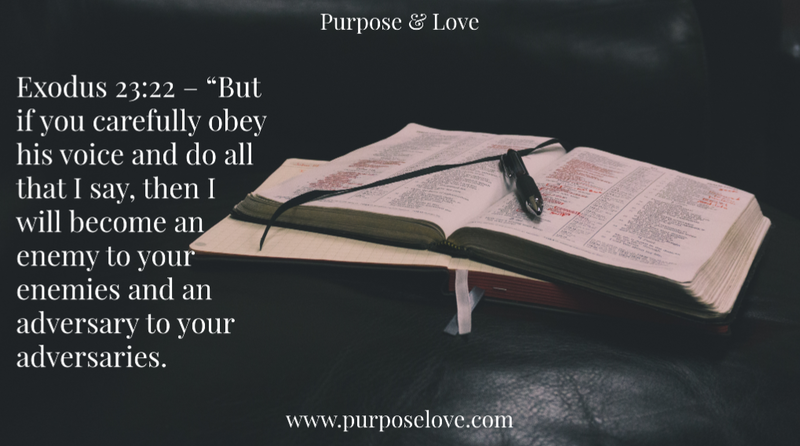 Disobedience isn’t okay. God gives grace and forgiveness but we shouldn’t be disobedient intentionally. If God asks us to read our Bible every day we should do it. God wants us to put him first. If we aren’t in the Bible and praying every day we aren’t putting God first. We are putting our life, work, family, friends, desires, phone, TV, etc., first. We are telling God that we are too busy for him. We should desire a close relationship with God, putting God first. To know God we need to read the Bible. God wants to be our friend. We should talk to him daily and part of listening to him is by reading our Bible. Some people think that being religious includes how often we read our Bible. Which is incorrect. Being religious is listening to the rules or laws of the church. Reading our Bible and how often is a personal conviction given to us by God. God doesn’t want us to be religious. God calls us to be obedient to his laws and commands. One thing he asks us to do is read his Word. How often we should read the Word is between us and God. God will convict each person by their walk with him. If we want to grow in our relationship with Christ and get to know God deeper then we need to get into his word. In all things, listen to God. 2 Corinthians 2:9 – For this is why I wrote, that I might test you and know whether you are obedient in everything. We need to be obedient to what God says to us. We shouldn’t let another person tell us how often we should read our Bible that is between us and God. We need to be obedient to what God tells us to do. Exodus 23:22 – “But if you carefully obey his voice and do all that I say, then I will become an enemy to your enemies and an adversary to your adversaries. If he tells us to read our Bible once a day, every day, then we should do it. If God asks us to read our Bible every other day then we need to do just that. We shouldn’t intentionally be disobedient. Romans 6:1-4 – What shall we say then? Are we to continue in sin that grace may abound? By no means! How can we who died to sin still live in it? Do you not know that all of us who have been baptized into Christ Jesus were baptized into his death? We were buried therefore with him by baptism into death, in order that, just as Christ was raised from the dead by the glory of the Father, we too might walk in newness of life. God wants to be our closest friend and to put him first. When we are putting him first we are having daily conversations with him and part of listening to him is reading his Word. If we don’t feel like we need to read our Bible every day that is between us and God. Everyone has different convictions concerning how often to read their Bible. 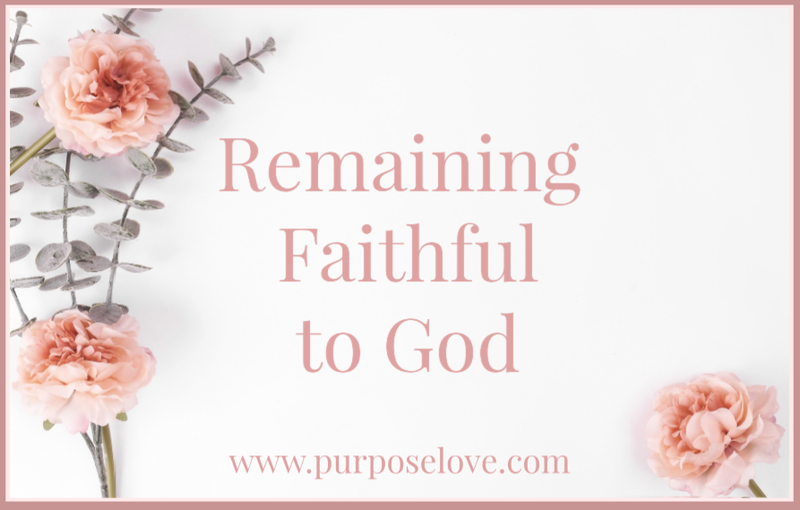 If we want to get closer to God and show him that we are putting him first that requires us to put down things that we value more than we value our time with God. 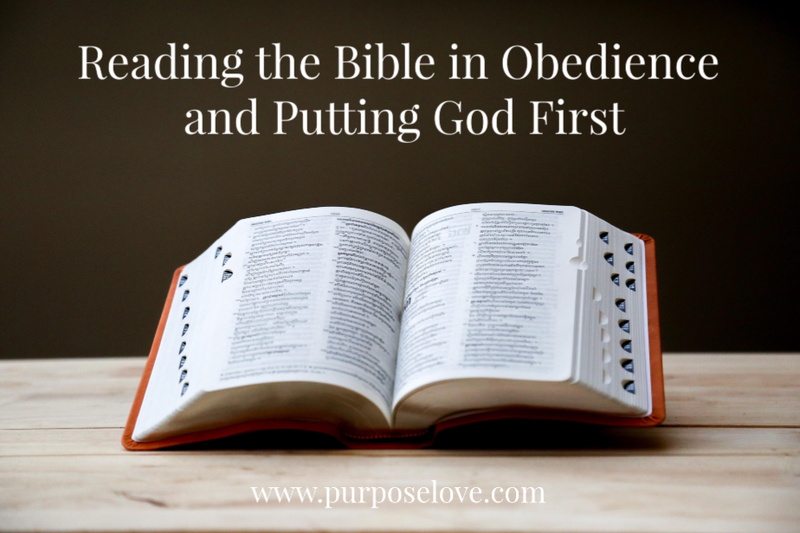 It also requires us to be obedient to when God is asking us to read the Bible. God speaks to us through his Word. We can’t have an effective conversation with him if we are quick to talk to him but not quick to be silent and listen. Being an effective listener requires reading the Bible. Having conversations with God is praying. But understand that prayer and conversations with God requires listening. If we want answers from God and to hear from God we need to read his Word. Talk to God and ask him how often he wants you to read your Bible. Be silent and listen to his answer. I think we can all say that we have had a broken heart at some point in our lives. 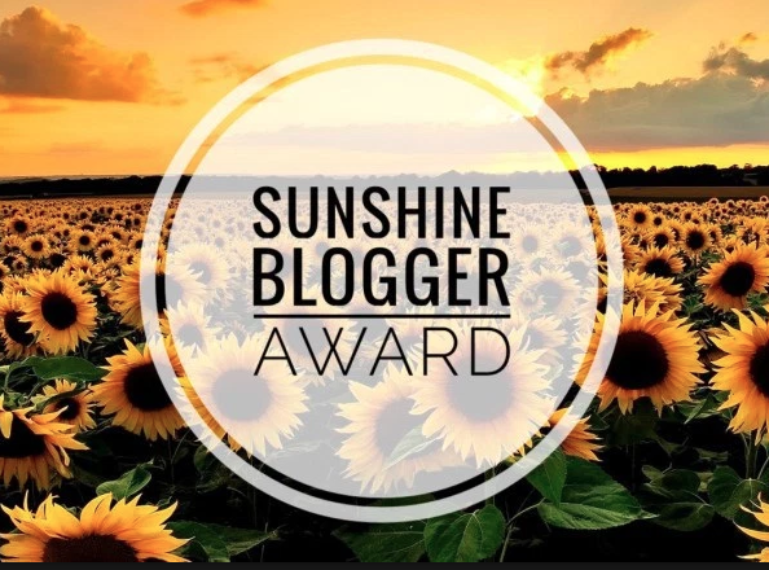 We can all think back to a time when we were curled up into a ball on our bed or couch weeping and we could feel our hearts shattering into pieces. You may be facing that right now. When I was 13-14 years old, I started dating my first long-term boyfriend. We dated for 2 years before we called it quits. The first year and a half was an ideal relationship. 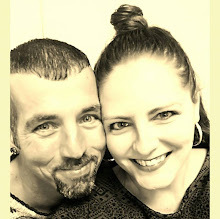 He was kind, loving, gentle, always there for me, and I was the same in return. He always surprised me with gifts and always wanted to talk to me throughout the day. 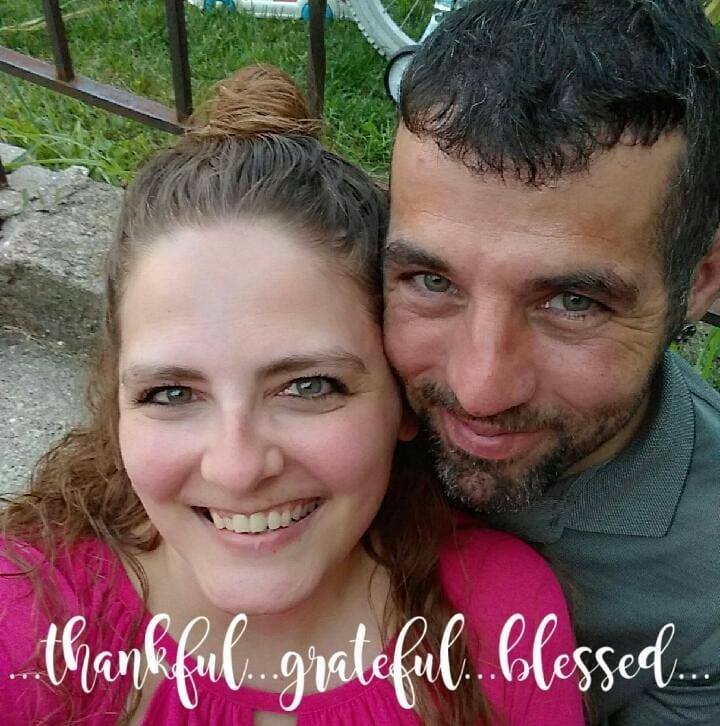 In the last 6 months of our relationship I found out that he had cheated on me, was writing other girls flirtatious notes, and he had gotten into doing drugs. same person. He had let others influence him on how they thought you should treat women, they thought cheating and having multiple girlfriends was cool, and they had influenced him to start doing drugs. Because of my heartbreak I decided to cheat on him too, but it just made things worse. We made the mutual decision to end the relationship and go our separate ways. Taking things into my own hands and trying to deal with the heartbreak eventually only hurt both of us. I should have given my broken heart to God and let God deal with it. But, at first I didn't and it just got worse. I now had to live with regret instead of just a broken heart. STEP ONE: Share our brokenness with God. God wants us to have conversations with him. He wants us to tell him what is breaking our heart. We should confide in him, he will answer our prayers and have a conversation with us. 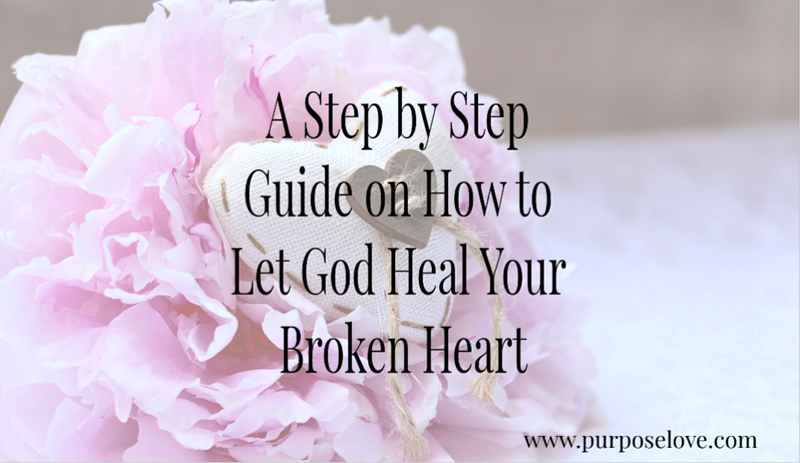 STEP TWO: Realize that we aren’t so broken that God can’t heal us. We’re not broken goods, God can always heal us. Nothing is too big or too small for God. God will heal our brokenness. We may feel so broken that it’s impossible for any kind of healing. But, we need to just know that nothing is impossible for God and he wants our broken heart. STEP THREE: Lay down whatever broke our heart at God’s feet. 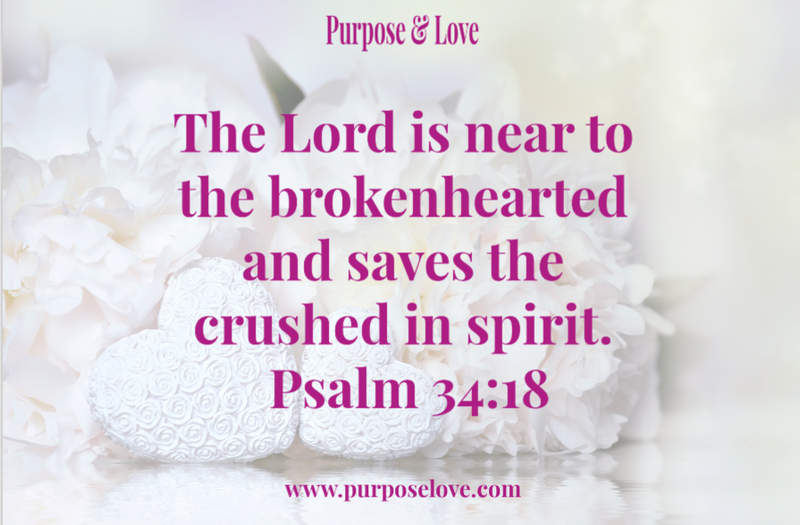 We should ask God to heal and mend our broken heart. 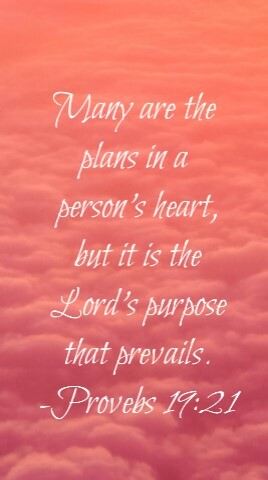 Give our heart and the situation that broke our heart to God. Let God heal our heart. God is our strength! 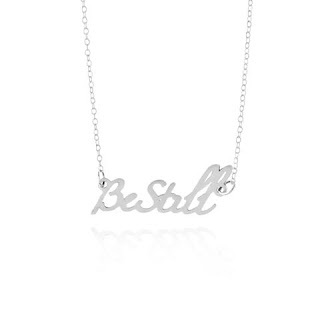 STEP FOUR: Wait on God/ be still. We shouldn't focus on our brokenness. We shouldn't focus on the situation that broke our heart. We shouldn't go through the "what if's" or "could haves", we should just let God heal us. 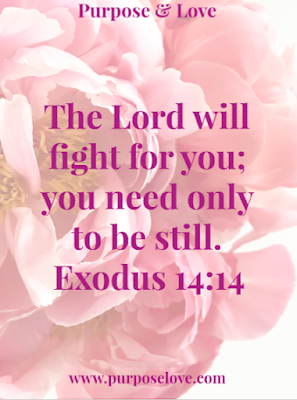 While he is healing us we only need to be still. STEP FIVE: Let God take full control. Once we have laid it at God’s feet we need to let him take full control. We can’t try to take back our broken heart and start mourning again. We need to let God heal it and keep it. STEP SIX: We can’t look back on the situation that made our heart break. Looking back will only break our heart again and means that we are trying to take over the situation again after we already gave it to God. STEP SEVEN: Forgive the situation or person that broke our heart. Forgiveness is a big step in the healing. We're not healing the person or situation for them, it's so that we can heal and move on. STEP EIGHT: Move on from our broken heart. There is no need in soaking in the brokenness. We can move on without more pain, more scars or more brokenness. STEP NINE: Rejoice in his healing. We should then rejoice that God healed us and we can now be used for God’s good to help others going through the same brokenness. STEP TEN: Let God use our broken heart and testimony of healing to help others. Our broken heart can now be used to help others in the same situation. We can be there for each other and help each other make it through hard times. Nowhere in the Bible does it say that we need to be strong. God will be our strength. The church is there for us to help be our strength. We need to put our hope in God and praise him. He is our help and our redeemer. He is always there for us when no one else is or when it seems like no one else is. God can heal, he can deliver, and he can mend broken hearts. He's waiting for you. Hi, I'm Liz. I am a mother of 5 beautiful children and married to my best friend Chad. I have 3 step children and 2 step grandchildren. I am most definitely a child of God who is the center of our home, marriage, and family. Please visit my about page to learn more about me and the Purpose & Love blog. Prayer Requests: If you have a prayer request please click here.